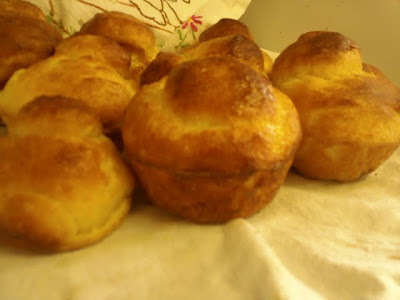 BBA Challenge 2011 - Brioche..... yuck! This might just say it all. I made a very small amount of Peter Reinharts Rich Man's Brioche, actually only a third of the recipe. 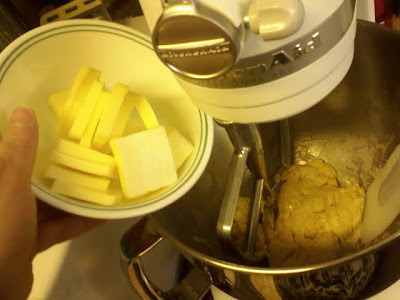 It still called for 1 1/2 sticks of butter in it, by weight is was almost the same amount as it called for flour! The recipe said this was the hardest to make of the three formula's. I took that as a challenge. Here's the end result, the "Money Shots". It really has an incredible crumb on it, soft and tender, literally you can see the gluten feathering out as you pull one apart. 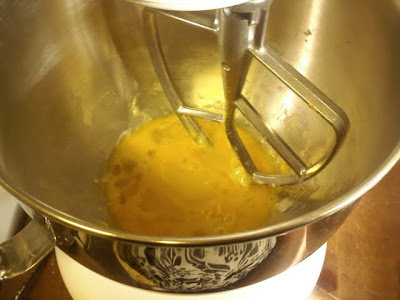 The trouble is that it is almost dripping in butter. 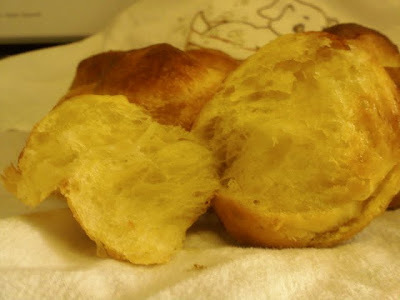 I was brought up on using real butter on my breads, so I can't believe I am going to say this. I ate one of these and it almost made me sick there was so much butter in it. It has been a couple hours since I ate it, and my body is still saying, "I am so glad you froze those things!" Really, with my love for breads and using real butter on them, you would think these would taste awesome to me. Even putting sugar free strawberry jam on them didn't help the situation, so I hope that my husband likes them or I might have to feed them to the chickens or something. Here is how I made them, although I really don't recommend them and won't be making them again. 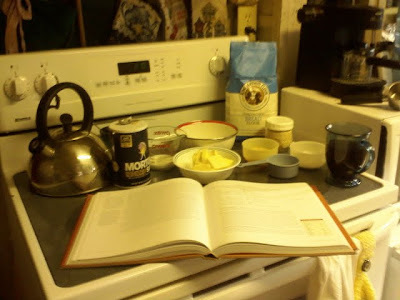 Everything all measured out and ready to be made into Brioche. My sponge was really small in that huge 6 quart bowl. 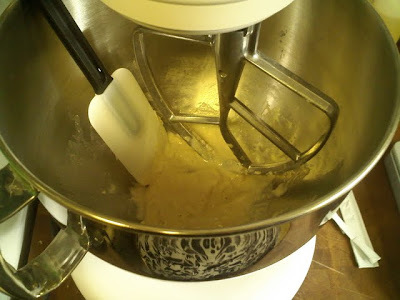 Flour is mixed in and getting ready to start putting the butter in. 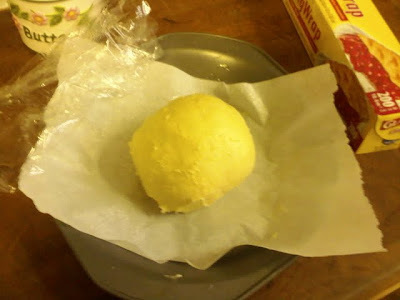 My ball of dough after mixing with the paddle. 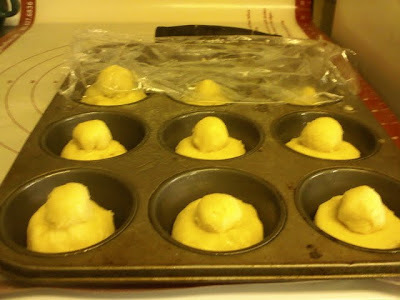 It had difficulty producing gluten, because it was small and sticky with butter. I actually did some stretch and folds on it for about an hour, trying to get it developed more. 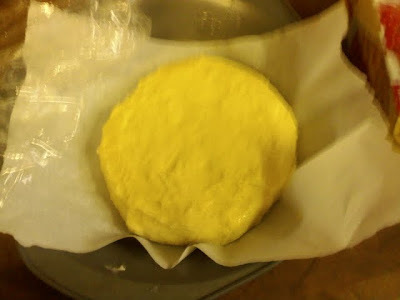 Flattened out and ready for fridge, sorry for the blurry pictures. My cell phone was used for these and it sometimes is hard to tell if the picture is good or not. Shaped and ready for proofing. They rose about twice this size in two hours, and then I cooked them and they really shot up. soon after I bought the BBA book, and never again. I also had thought that with all that butter they must taste divine, but I didn't like them too much, and had made better ones before. I agree with Anna, I would use the leftover ones in some dessert, for example bread pudding. Those are both good ideas. I thought that I might try one in a week or so just to make sure that I wasn't reacting to the richness of the bread and having been sick all week. The crumb was incredibly tender and the texture was awesome, just the fat in it was overwhelming. Although I really don't have a high tolerance for greasy foods, but I will see when I give it a second chance. Challah braid.... reminds me of braiding my daughter's hair!